The European Organization for Nuclear Research (CERN) is one of the world’s most prestigious research centres. Its main mission is fundamental physics – finding out what makes our universe work, where it came from, and where it is going. 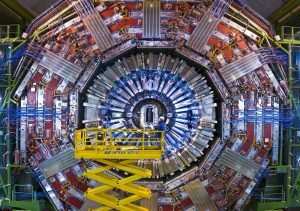 CERN sits astride the Franco-Swiss border west of Geneva at the foot of the Jura mountains and was founded in 1954 as one of Europe’s first joint ventures. Since then it has become a shining example of international collaboration. From the original 12 signatories of the CERN convention, membership has grown to 22 Member States*. CERN’s main duty is to design, build and operate very complex machines called particle accelerators where physicists collide minute particles of matter to unravel the basic laws of nature. This research is purely scientific and the results are freely available. The laboratory’s accelerator complex is built around three principal interconnected accelerators. The oldest, the Proton Synchrotron (PS), was built in the 1950s and was briefly the world’s highest energy accelerator. The Super Proton Synchrotron (SPS), built in the 1970s, was the scene of CERN’s first Nobel Prize in the 1980s. The Large Electron-Positron collider (LEP), which started up in 1989, finished operation in November 2000 after contributing a very accurate study of the electron-positron collisions and thus providing a profound knowledge of the weak interaction, one of the four interactions in nature. CERN’s current flagship facility is the Large Hadron Collider (LHC), which is installed in the same 27-kilometre as LEP before it. The LHC is arguably the most complex scientific instrument ever constructed, and gives the world’s physicists a new tool to probe deeper than ever into the heart of matter. 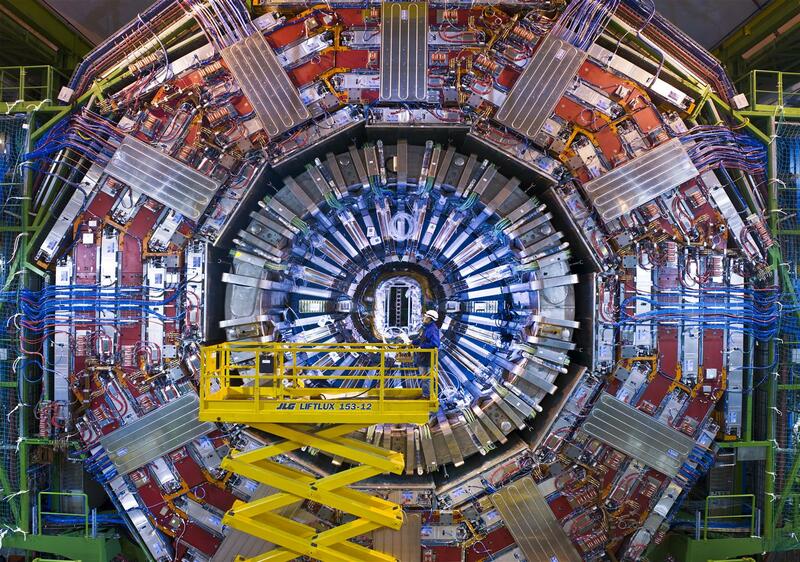 The LHC’s first collisions took place in 2010, and in 2012, LHC experiments ATLAS and CMS announced the discovery of the Higgs boson, tangible evidence for the Brout-Englert-Higgs mechanism through which fundamental particles acquire their mass. This discovery led to the award of the Nobel Prize to François Englert and Peter Higgs the following year. Each of CERN’s accelerators hosts a range of experiments run by collaborations of physicists from around the world. Currently, CERN has some 13 000 users – people of over 100 nationalities representing more than 500 universities who come to the Laboratory to use its facilities and participate in its experiments. From material science to computing, particle physics demands the ultimate in performance, making CERN an important test-bed for industry. Today everyone knows the World Wide Web, but not many know that it was invented at CERN, conceived to give particle physicists easy access to their data wherever they happened to be on the planet. The World-Wide Web, the Grid, medical imaging, and advanced techniques for using electronic chips are just a few of the many recent spinoffs from the fundamental research done at CERN. * Austria, Belgium, Bulgaria, the Czech Republic, Denmark, Finland, France, Germany, Greece, Hungary, Israel, Italy, the Netherlands, Norway, Poland, Portugal, Romania, the Slovak Republic, Spain, Sweden, Switzerland and the United Kingdom. Cyprus and Serbia are Associate Member States in the pre-stage to Membership. India, Pakistan, Turkey and Ukraine are Associate Member States. The European Union, Japan, JINR, the Russian Federation, UNESCO and the United States of America currently have Observer status.